Thanks for everyone who came out last week for our Parent Information Night! 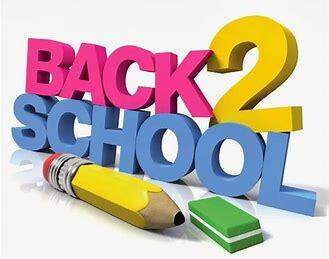 We are eager to see everyone at the Popsicles on The Playground at 11:00 am on Thursday, August 16 to meet your teacher. Here is some key information about pick up and drop off procedures so you and your child are prepared for the first day of school. Students will meet their teachers in the gym each morning the first week of school. There will be NO supervision of students prior to 7:45 am each day. The only students who may enter the building before the bell rings are those going to breakfast (served from 7:30-7:45 everyday). For the safety of your child, we ask adults to drop students off and not enter the building. Beginning at 7:45 am students will go directly to their classrooms. ECE parents are to use the classroom (exterior doors) to drop off their child and sign them in. 8:01 a.m. : Students arriving after this time must check in at the main office and receive a green tardy pass. 3:00 p.m.: At the dismissal bell, students are released from school for the day through their designated doors to the playground and/or bus area. Supervision ends at 3:15 p.m. Please be on time for pick up. If driving your student to/from school, use our “Hug-N-Go” lane on Lima Street (east loading area) beginning at 7:30 am. No Hug-N-Go in the afternoon. Parents are to pick up students on the playground.